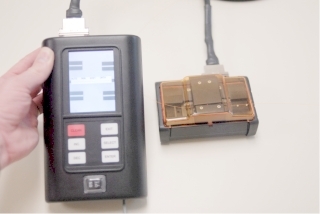 Aurora Optics, Inc. introduces the world’s smallest hand-held fully automatic 3-axis aligning fusion splicer. With a fusion head no bigger than a digital camera, the MiniMod can go anywhere – up a ladder, hanging from overhead aerial strand, or into the tightest of cramped cabinets. Yet inside the miniature fusion head Aurora has packed fully-automatic 3-axis PAS fiber alignment technology for the consistent low loss, high yield, and versatility, even in the most adverse environments. 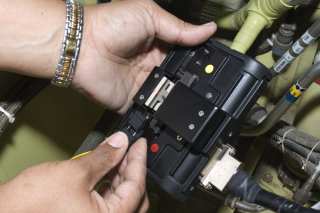 And the product is so rugged it can surpass the latest military specifications for hand-held equipment, including shock, vibration, and thermal cycling. Splicer head can splice anywhere the user’s hand can fit. Operates in any orientation - horizontal, vertical, sideways, even upside down. 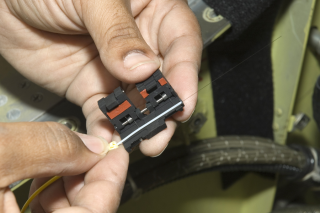 Compact head can splice within one inch of wall or conduit, minimize need for slack fiber. Removable fiber holders minimize the need for operator skill and attention in fiber preparation.